TELL US A BIT ABOUT YOURSELF – WHO IS MAMA LIZ AND WHAT IS SHE ALL ABOUT? 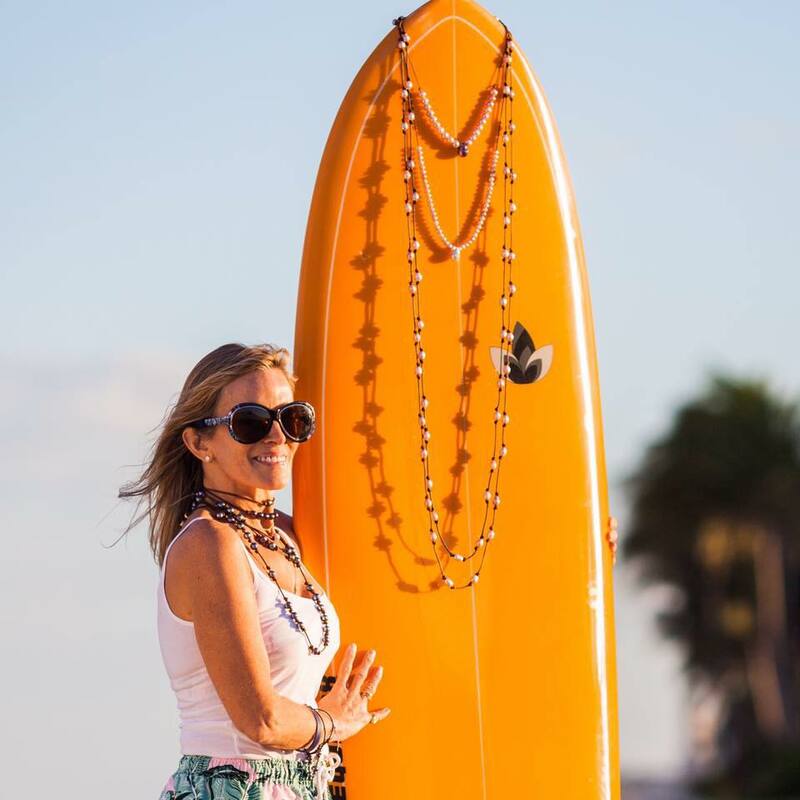 Mama Liz is a wife/ mother/ yogu/surfer/skier/hippie trapped in a 45+ body, a peter pan who never wants to grow up! I worked so hard to be a grown up while working on Wall Street for 20 years, I want those youthful years back! Young people who don’t realize the gift of youth,older people who live like they are decades younger. LIKE MANY OF US TODAY, YOU’RE A WEARER OF MANY HATS – ENTREPRENEUR, MOTHER, WELLNESS ADVOCATE. WHAT KEEPS YOU BALANCED AND GETS YOU THROUGH YOUR MANY TASKS IN THE DAY? While I love my husband and daughters dearly, and I love my home, I always have a trip planned. I have had the good fortune to travel my whole life and whether it is a new location or a return to an old location, the excitement of travel keeps me in balance. YOU CREATED DRYFT WATERSPORTS, WHICH MAKES BEAUTIFUL, HANDCRAFTED SURFBOARDS. WHAT IS LIKE WORKING AS A WOMAN IN THE SURF INDUSTRY? YOU WERE A FORMER PROFESSIONAL SKIER AND NOW YOU ARE AN AVID SURFER. WHAT HAVE OUTDOOR SPORTS TAUGHT YOU THAT HAS TRANSLATED INTO SOMETHING BIGGER IN LIFE? Outdoor sports teach you that nothing goes as plans, and that we must be flexible and able to change plans on a dime. One day we are skiing in packed powder in sunny weather and great visibility, and within 40 minutes its cloudy and there is no visiblity where you cannot see your hand in front of you! Or you are surfing nice shoulder high waves, the sky turns grey, the wind crosses, and the waves are sloppy, overhead, and there is a strong rip. We have to adapt. Life changes too. We can be healthy one day, and be diagnosed with cancer the next. Some people are so much in tunnel vision, that the slightest change throws them into depression. F THERE’S ONE PIECE OF ADVICE YOU WOULD GIVE YOURSELF WHEN YOU WERE IN YOUR TEENS OR TWENTIES, WHAT WOULD IT BE? I would have spent more years traveling and not have settled into a serious job until I was over 30. I don’t regrets, but there is no reason to hurry to settle down!